We have documentation on how to get it installed on a server, how to get started using the system, and how to add/organize content. 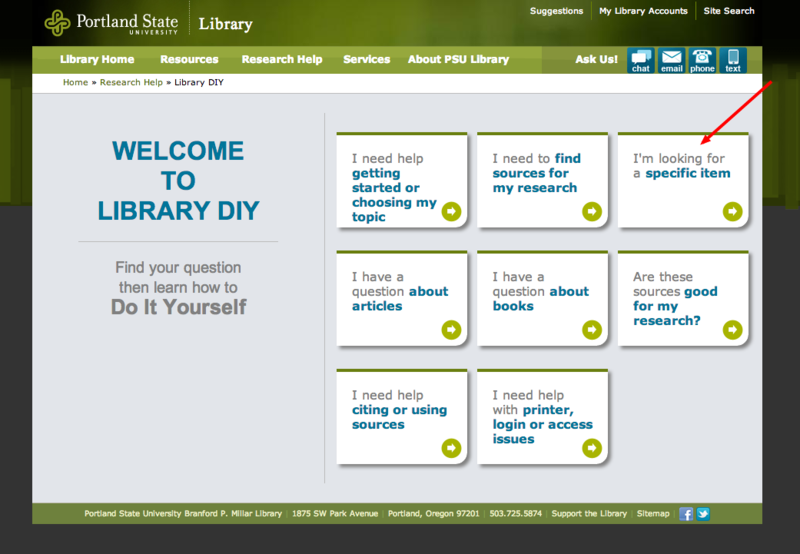 Unfortunately, we do not have the staff time to provide tech support for Library DIY, I’d be happy to answer questions about how we developed our information architecture and content. Here is a list of all of the PSU Library’s awesome open source projects. We’ve got some really talented and driven people working here at the library, and the proof is in all of these projects. Thank you, Meredith! This is an amazing contribution to the LIS world! I’ve been admiring your DIY project, and having the code available is really valuable. I currently use the Guide on the Side software for an assignment in my SJSU SLIS Info Lit class, and now the DIY project is making me think I might make this into an assignment as well. Thanks so much! Thanks Michele! And that’s so great that you’re getting students using some of the emerging tools out there (I’m a huge fan of Guide on the Side). SLIS students are very lucky to be getting experiences like that. Hi Meredith – I really like the look and the concept of the DIY Library – I wonder if you have any data or feedback yet about usage of the DIY portion of the site? I’d love to hear how it’s being used and what your students think of it! Hi Ekaterini! We have been getting some informal feedback via the form on each DIY, which has been on the whole positive with a few constructive comments. Anecdotally he faculty and students who have used it have spoken very highly of it. When I first showed it to the peer mentors who help run our freshman inquiry classes, there were lots of oooh and ahhs. But the big challenge is getting people to actually look at it. In terms of web traffic, the stats are very promising for a new service. Just looking at January and February, we’ve had 2,655 visits (versus 10,000 for our entire well-used eReserves system, 1352 for our major Library Research Tutorial, and 382 for our digital exhibits to provide some context). And this is well before a lot of research papers are due in the Winter quarter, when the stats will likely (or hopefully) go up. I think we’re all still working it into our instruction and marketing workflows and it will take a while to know whether it’s truly successful, but so far, the results are quite promising. We’re going to be doing usability testing soon and that will provide another data point for us to look at. Had a planning meeting with Library IT to discuss using this earlier today. We’re moving ahead into the exploration stage with installing on a test server etc. Very exciting! Sweet! That’s super-exciting! Let me know if I can be of any help, Lisa. Thanks for the info – sounds very promising!